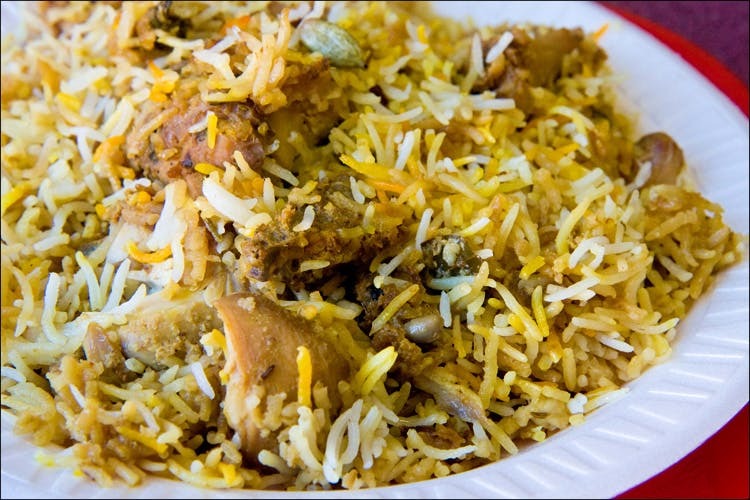 Delivering between noon and 7am, The Empress is a new all-night food delivery service and we love their fragrant, delicious biryani. At The Empress, the real star is the biryani i.e. the comfort food equivalent for pizza and pasta. The Dum ki Gosht Biryani hits the spot especially with a side of Rara Gosht or Chicken Korma. We also love the Dahi ke Sholey and Methi Corn Seekh Kebab that pair really well with beer – add Mutton Galouti to the mix and you have yourself a party. The mains don’t end at just curry and biryani, there’s Dal Makhni, Paneer Noorani, Murgh Saagwala and Jhinga Curry as well. Who said chef’s tasting menus are only for fine dining restaurants? The Empress has a vegetarian and non-vegetarian tasting menu that has small portions of practically half the menu and it’s all yours for INR 500 for veg and INR 600 for non-veg. The non-vegetarian one has Murgh Tikka, Malai Tikka, Mutton Seekh, Tandoori Chicken, Afghani Murgh and Kasundi Fish Tikka, served with dal and naan – who could ask for more? The next time you want desi comfort food or if friends land up out of the blue, ditch the pots and pans and check out The Empress.